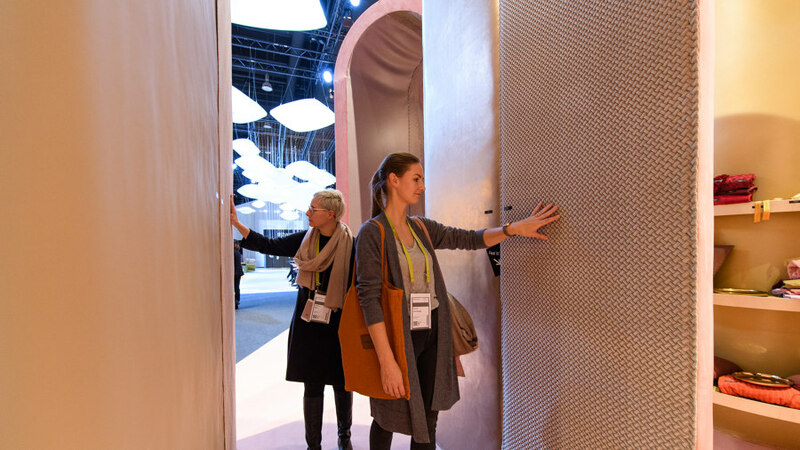 The fabric of which the future is made: The materials that will clad furniture, walls and floors in the coming furnishing season were on display at Heimtextil, which took place from 7 to 10 January in Frankfurt. 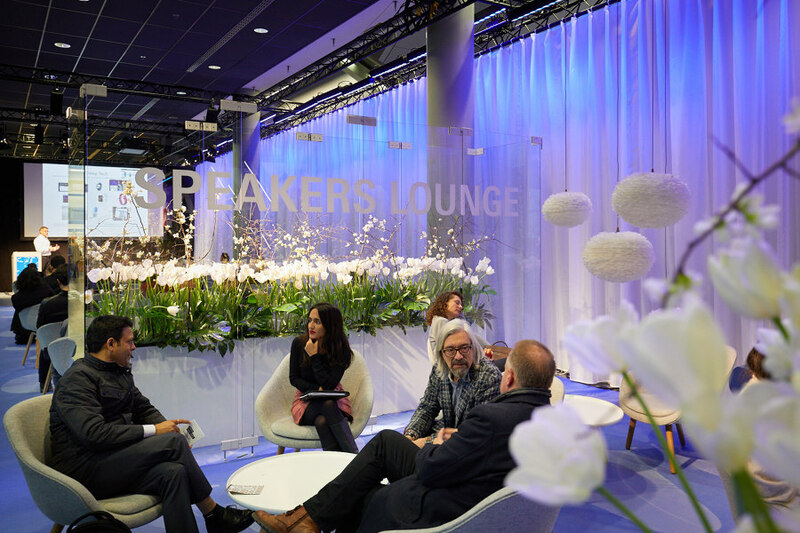 The International Trade Fair for Home and Contract Textiles, the year’s first and largest fair of its kind, is considered the red carpet and trend barometer from which the future of furnishings takes its cues. 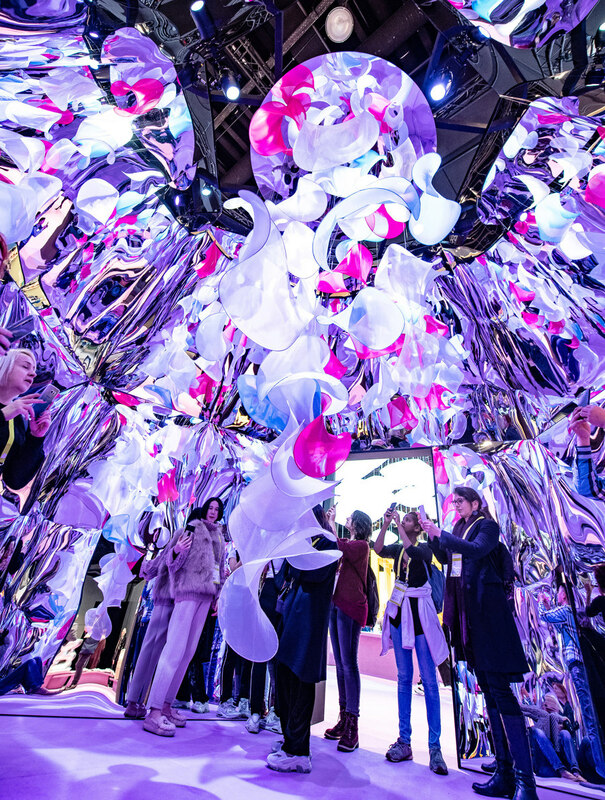 With 3,025 exhibitors from 65 countries, this year’s Heimtextil set the season in motion with atmosphere and excitement – and it did so in a new guise. The event was reconceived to consolidate thematic areas and product segments in order to better reach target groups. 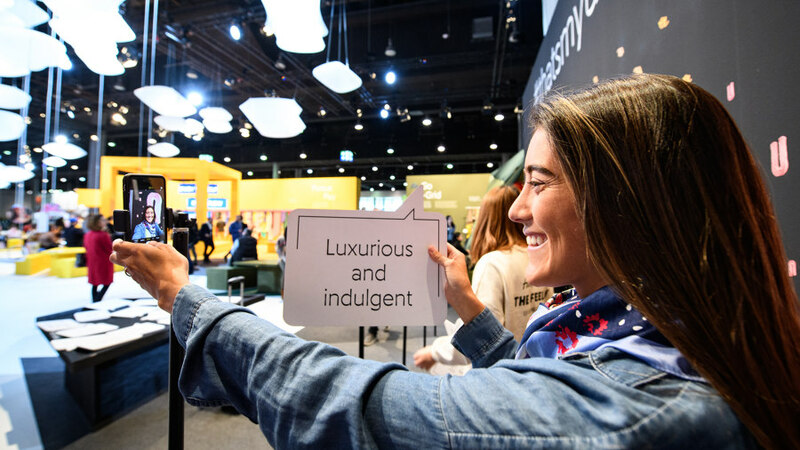 Visitors not only profited from wide-ranging sources of inspiration and shorter paths, but could more effectively link their various interests. 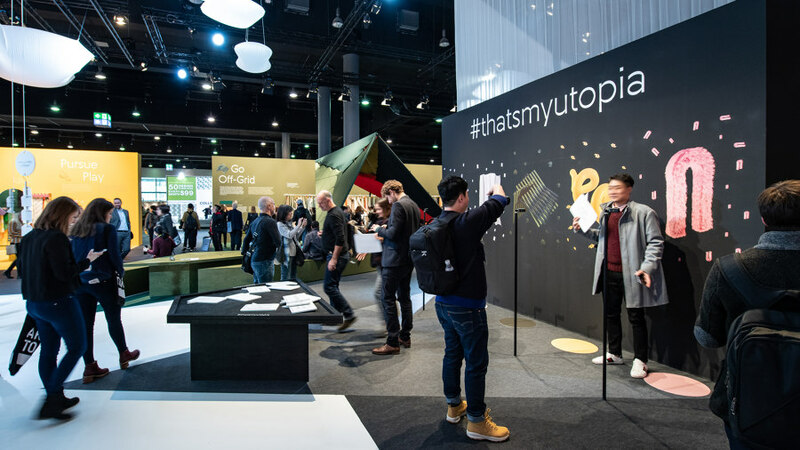 The pulsating hub of the fair was the new Trend Space, which staged the trends of 2019/2020 in the form of interactive interior worlds under the title ‘Toward Utopia’. Following the prognoses of the design experts from the London agency FranklinTill, Stijlinstituut Amsterdam and SPOTT Trends & Business, the Frankfurt studio Markgraph conceived five individual microcosms that made the lifestyle, textile and colour innovations of tomorrow into a multisensory experience. While visitors were surrounded by relaxing sounds and images in the minimalistic aesthetic of ‘Seek Sanctuary’ or ventured into elements of the natural world in ‘Go Off-Grid’, ‘Pursue Play’ allowed them to follow their play instinct in a multimedia environment. Those who wanted to fully withdraw into the virtual world did so in the oversized kaleidoscope ‘Escape Reality’. In ‘Embrace Indulgence’, the themes of beauty and luxury were interpreted in high-quality materials and rich colours. What all these worlds had in common was the search for meaningfulness, mindfulness and sustainability – themes that are already playing an important role in the present. Using recycled PET bottles and ocean plastic as well as certified natural materials, numerous exhibitors showed progressive solution approaches. 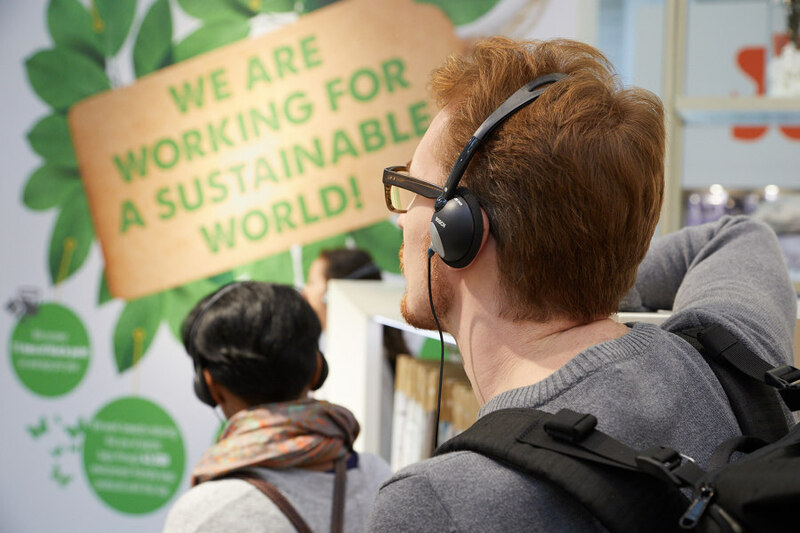 The industry’s growing ecological awareness was reflected in the ‘Green Directory’ index of exhibitors, which lists some 150 companies that are producing textiles sustainably. Another subject of special attention was sleep. A restful sleep shouldn’t just be the stuff of dreams; it is essential to our wellbeing. In combination with a range of talks in the area ‘Sleep! The Future Forum’, there were numerous aspects and products to be discovered that promote healthy sleep. Further fair highlights lay in store under the title ‘Interior.Architecture.Hospitality’. These included the ‘Interior.Architecture.Hospitality Expo’, whose exhibitors specially addressed their textile solutions to interior designers, architects and hoteliers. These expanded the aesthetic offerings with functional answers – from textiles with acoustic or fire safety functions to modular carpets and innovative solar protection. The product presentations were accompanied by lectures in which internationally renowned architects and hotel experts reported on current projects. 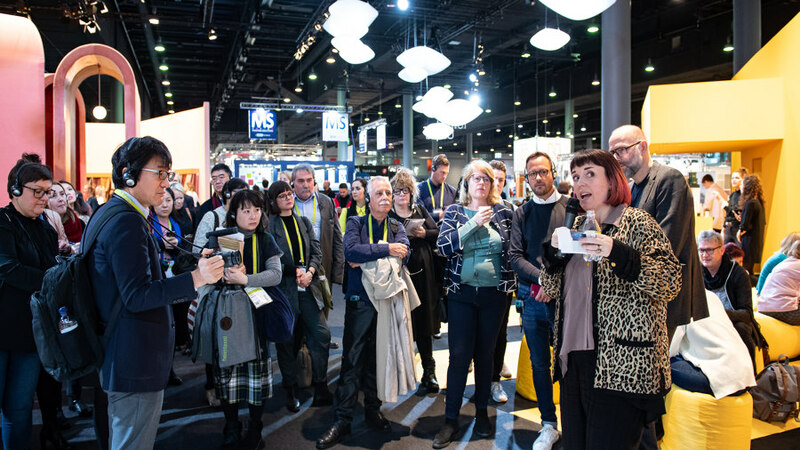 To give the target group an even better overview of the fair, with specialist insights into innovations and trends, various thematically focused tours were offered – a concept that met with a positive reception all around. ‘There’s a rediscovery of textiles in interior architecture. After having been banished from interiors for years, they’re now becoming more important again – not least because of the variety of new sound-absorbing functional textiles,’ says Martina Metzner, owner of a communications firm for interior architecture and design, who held a bdia (Association of German Interior Architects/Designers) trend talk and led tours for WorldArchitects to selected contract-textile suppliers. 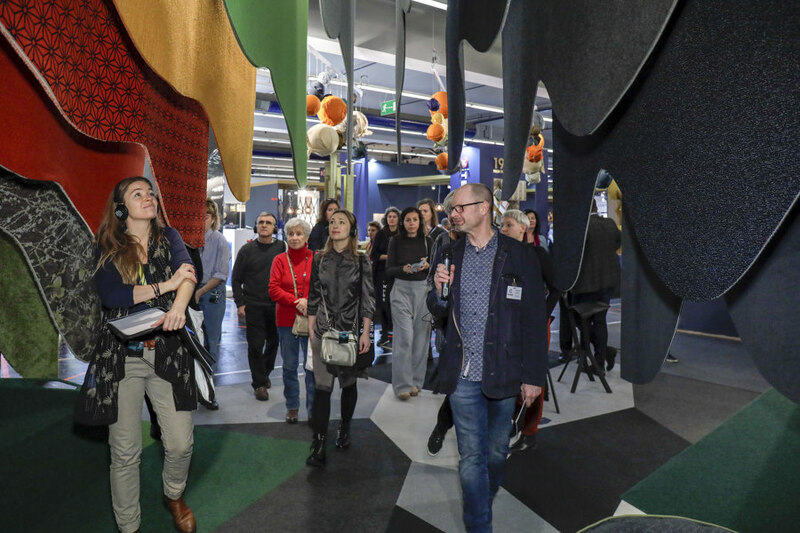 Visionary exhibits, enthusiastic visitors and inspiring conversations – the look back at Heimtextil 2019 is at once a very positive and colourful view into the future. One full of values and impulses just waiting to be further developed. In this spirit, ‘Toward Utopia’! 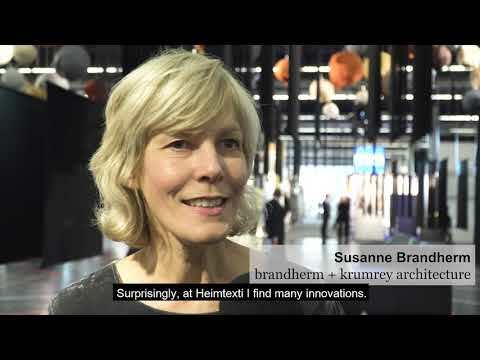 We look forward to seeing you in Frankfurt am Main from 7 to 10 January 2020 to help celebrate the 50th edition of Heimtextil.